Gencarelli Bass Works and Fine String Instruments is family-owned and operated in Fountain Inn, SC. Since opening in 2006, we’ve treated every customer like they were a part of our family. Other companies may offer similar services, but our services come with a personal touch. ​Brian is a native of Spartanburg, SC. He has a degree in Music Education from the University of South Carolina, and a Master's Degree in Performance from the University of Georgia. 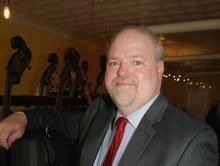 He teaches in the Greenville County School District and is Affiliate Professor of Bass at North Greenville University. Brian started repairing instruments as a hobby about 20 years ago in graduate school. Lack of school district funding for repair gave opportunity for him to practice his craft. After completing work on his own instrument, his colleagues in the Greenville Symphony and other professional orchestras asked him to work on their basses, and GBW was born. 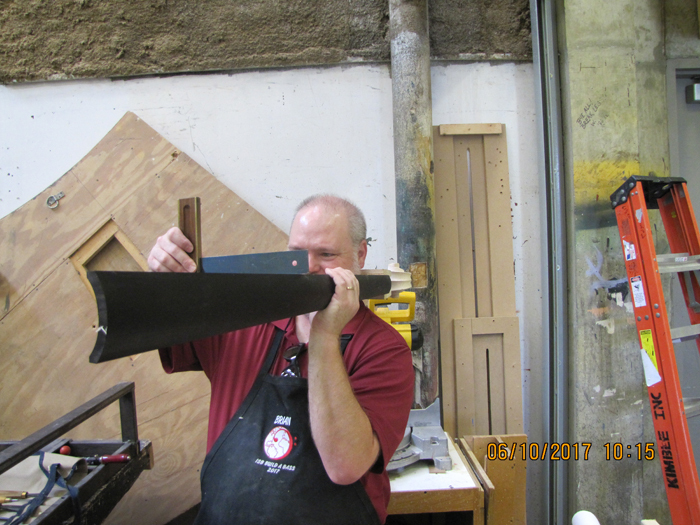 Brian has attended the Double Bass Repair and Restoration Workshop and the Double Bass Makers' Workshop at Oberlin College (OH) to study the art of lutherie with some of the best- Arnold Schnitzer, David Gage, Bill Lakeberg, and Robbie McIntosh. These workshops are facilitated by the Violin Society of America. This past summer, Brian had the opportunity to participate in the Build A Bass Workshop at the International Society of Bassists Convention in Ithica, NY. He was one of the team of Luthiers to build 3 Double Basses in a Week.